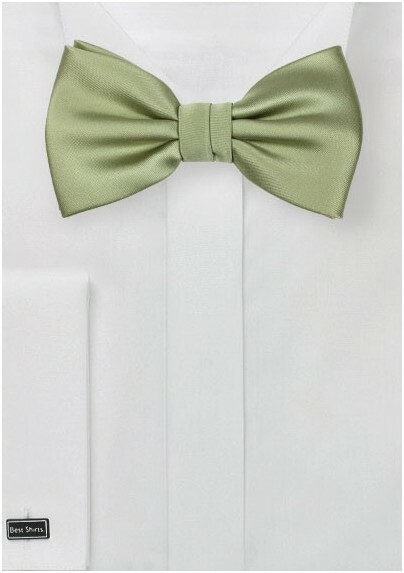 A super popular color, this green tea colored bow tie will look especially nice with any of your gray blazers or suit jackets. A unique shade of green, this has a hint of sage and some gray tones that make it beautiful and unique. This bow tie is pre-tied for style and convenience. The edge of each wing measures 2.5 inches and the bow tie is 4.5 inches wide. It is made from a care-free microfiber, a material that mimics the appearance of silk but is more durable and stain-resistant.